(Newser) – BP is investing a lot more money into the Gulf of Mexico, and into cutting-edge technology overall—and it looks like that investment is already paying off. CNBC and Reuters report the company just discovered two new oil fields, plus 1 billion barrels of crude oil at its existing Thunder Horse oilfield off the coast of Louisiana. BP higher-ups say that pumping money into new seismic and data processing tech deserves credit for helping the company ID the discovery at Thunder Horse in weeks, instead of taking up to a year. "We are building on our world-class position, upgrading the resources at our fields through technology, productivity, and exploration success," BP exec Bernard Looney said in a statement. We need cleaner fuel. Like solar energy. We need to stop depending on oil and if they find a big haul like this it will stop the progress of cleaner energies. How did I know this would upset triggered lefties? If it was up to them the poor would freeze and starve due to their energy costs. At least they could then pretend what a decent human being they are. 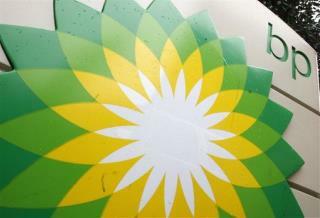 BP has had more spills than all other oil companies combined! Why are they still being allowed to drill in our gulf?! @#$^#$^$%^@$%@#$% it makes me mad!